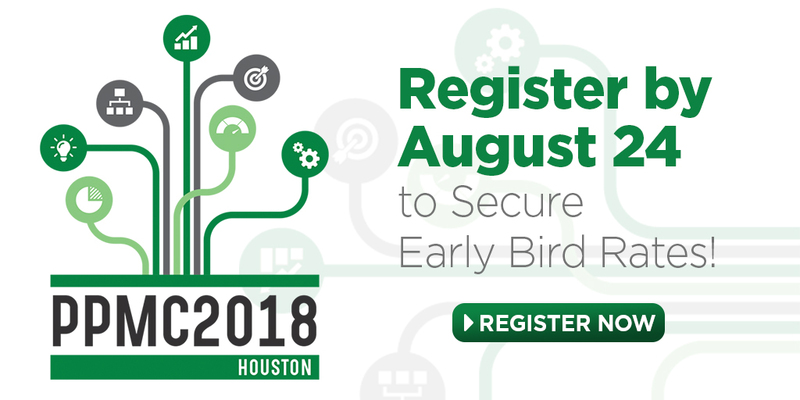 The demand for process transformation is rapidly increasing; however, 88 percent of respondents felt that process management, as a discipline, needed to change to remain relevant. 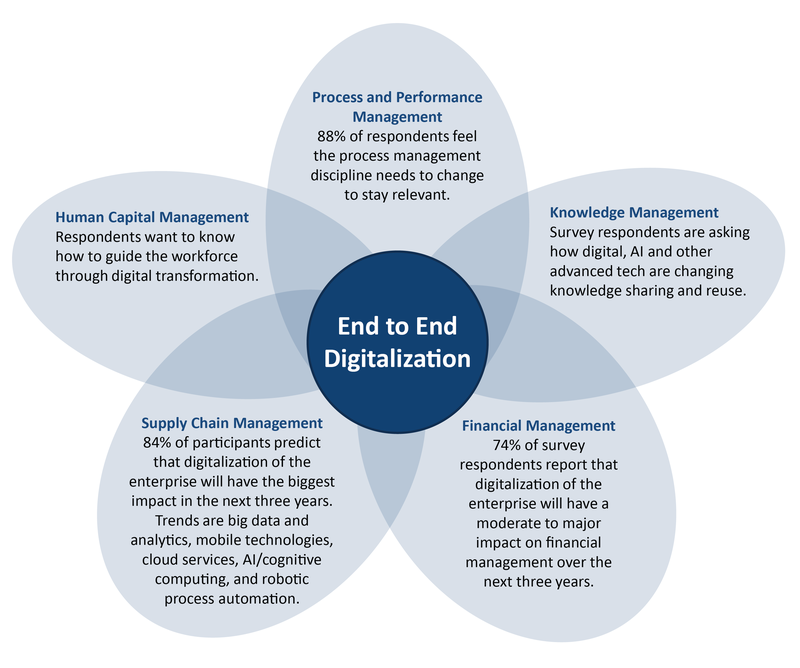 Overwhelmingly, members said that digitization and the expansion of modern technologies like advanced analytics, machine learning, AI, and cognitive computing are proving to be a significant challenge to traditional process management. 48 percent of respondents indicated that better integration of IT and process teams is critical if the benefits of automation and other new technologies is to be fully realized. The bottom line… process professionals need new methods to redesign processes, shepherd change, and manage the on-going governance surrounding process management. The old ways simply aren’t up to the job of working in the new world. Fortunately, the traditional four steps of process transformation: planning, organizing, leading, and controlling can still serve as the heart of a new way of working. What is radically different is the way process architectures are transformed, documented, and controlled. Organizations striving to get ahead of the power curve in process transformation have adopted tools that provide agility for designing new and improved work flows, integrate real time collaboration, and simplify controlling and measuring processes. One of the key ways they do this is by aligning the enterprise with a common language. As someone who has worked in process management in some form or another for my entire career, I’ve had the opportunity to test and in many cases apply just about every methodology associated with improvement including Deming’s PDCA approach (Plan, Do, Check, Act), benchmarking, re-engineering, measurement, and more. Recently, much has been documented on the use and value of BPM tools to support process transformation in today’s ever-changing process world, most of which is spot-on. APQC knows that successful organizations create a common language for processes using a “framework” BEFORE they adopt BPM tools. What I have observed in the last few years is that those organizations that start with a framework and common language, and in the process create alignment, not only reduce the cycle time for process redesign and improvement, they also do so in a much more cooperative and collaborative environment ultimately getting to a better process design and result for the organization. While we believe APQC’s Process Classification Framework® is the most comprehensive, other models like the SCOR Model, eTOM, ITIL and FEAF exist and all seek to serve the same purpose: to provide a unified structure to simplify the management of the enterprise. Adopting an enterprise framework creates a common language for individuals, departments, systems, partners, and suppliers. Once a standard structure, terminology, and classification scheme has been adopted, end-to-end process design and transformation can be expedited, redundancy eliminated, and opportunities for the inclusion of new technologies can emerge. “Companies that adopt bold offensive strategies in the face of industry digitization will come out the winners.” (Jacques Bughin and Nicolas van Zeebroeck/MIT Sloan Management Review). What’s your bold and offensive strategy for improving and managing processes in the future?